You are here: Home / Technology / How to distinguish the quality of casters? The wheel is initially invented to move objects more effortlessly and efficiently, but the quality of castors will directly affect the performance while using. The following will briefly describe how to tell the quality of industry and central lock casters. Industrial casters are used for a wide range of equipment. High quality casters must not have any pauses or noises during pushing, as well as another important point “the casters can be walked smoothly and effortlessly after being loaded”. 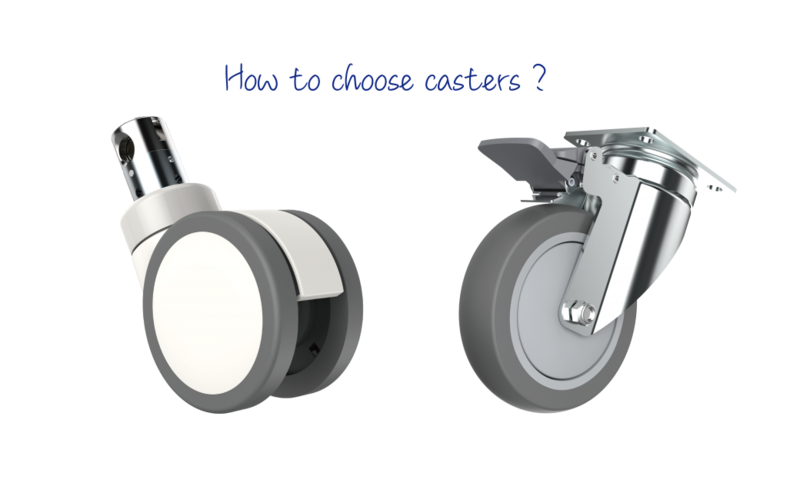 TKS casters understand what users care about during operation, so we pay a lot of attentions on production details of the swivel head and wheel center of casters – whether it is ball bearing or precision ball bearing, as these details can most directly affect the caster’s walking performance. The medical equipment needs to be kept safe and stable during operation by the patient or medical staff. The users can check whether the equipment meets the expectation through the professional certification. The caster is the part of the medical equipment. In the hospital bed safety standards of IEC60601-2, the casters-related test items include Descending test, Door frame impact test, Inclined test and Threshold endurance test. In order for the insistence of the caster safety and high-quality, as well as the trust in our customers, TKS casters not only offers the medical beds which are all qualified with the IEC 60601-2-52, IEC 60601-2-38 certification, but also be able to assist the hospital bed customers to test all casters-related items in IEC60601-2 safety standard. Safety is what TKS casters promise to offer.